The North London Mille Preservation non-profit organization will host a volunteer work day on Saturday at the landmark site. 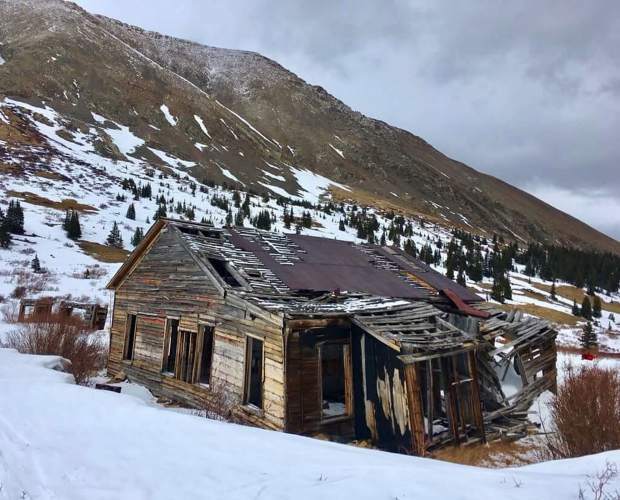 With the vision of converting its site into a backcountry hut, the North London Mill Site preservation non-profit organization will host a rehabilitation work day at the Park County landmark on Saturday. The organization will spend the day carefully removing sections of the North London office in preparation for rehabilitation efforts taking place in October. The materials will be salvaged for reuse. The work crew will depart from the Almart in Alma at 9:30 a.m. Bryan Carter will lead the work party. For those interesting in helping, the non-profit said to bring the following: adequate water, snacks, lunch, gloves, work boots, appropriate apparel for weather at 11,200-feet, a clawhammer and/or a prybar. For those who prefer to meet the work group at the North London site, the non-profit is asking to inform them in advance. They can be reached at: nolopreservationinc@gmail.com. For more information, visit: https://www.facebook.com/events/1837791216276289/.